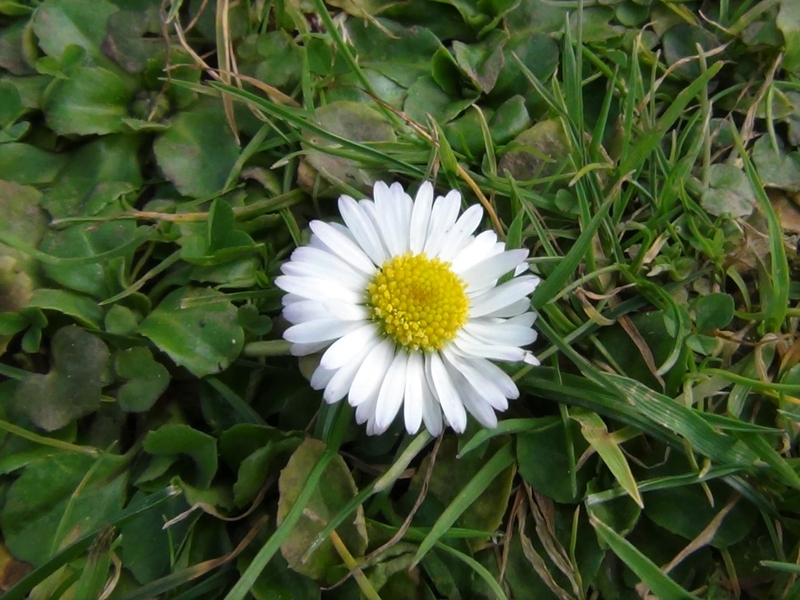 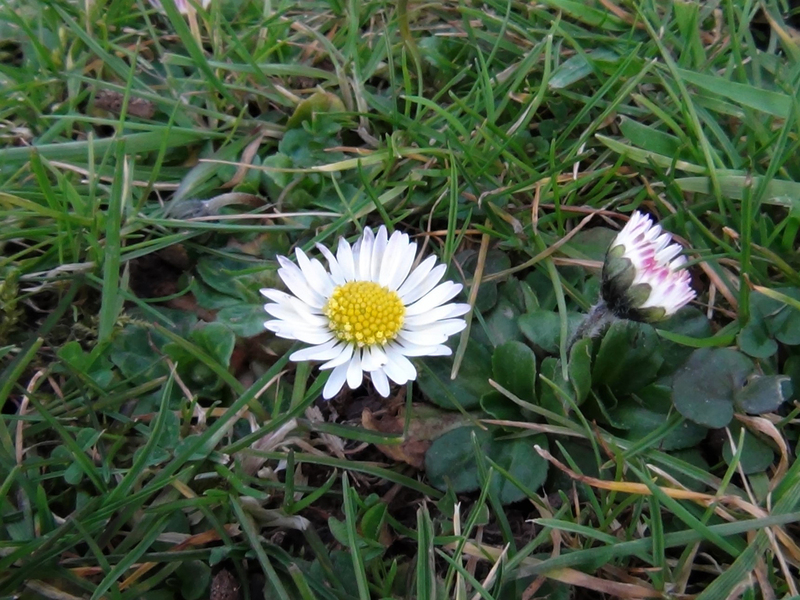 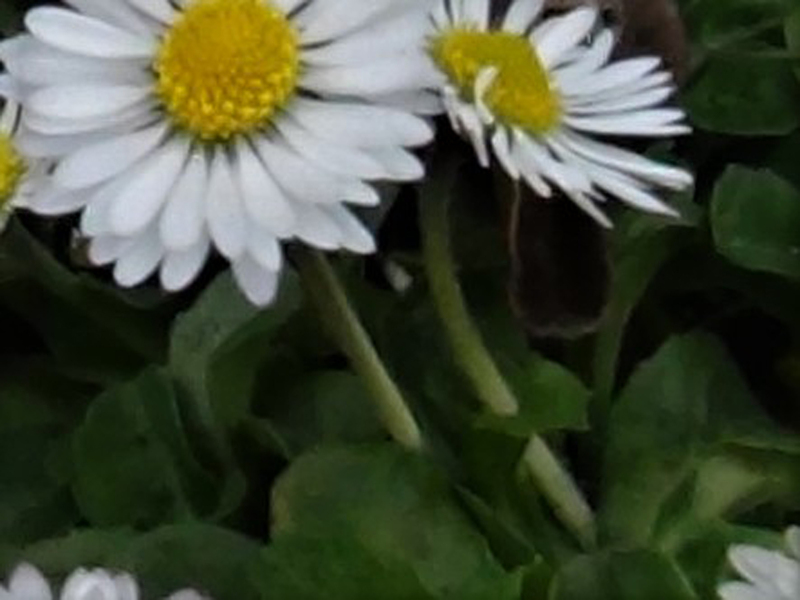 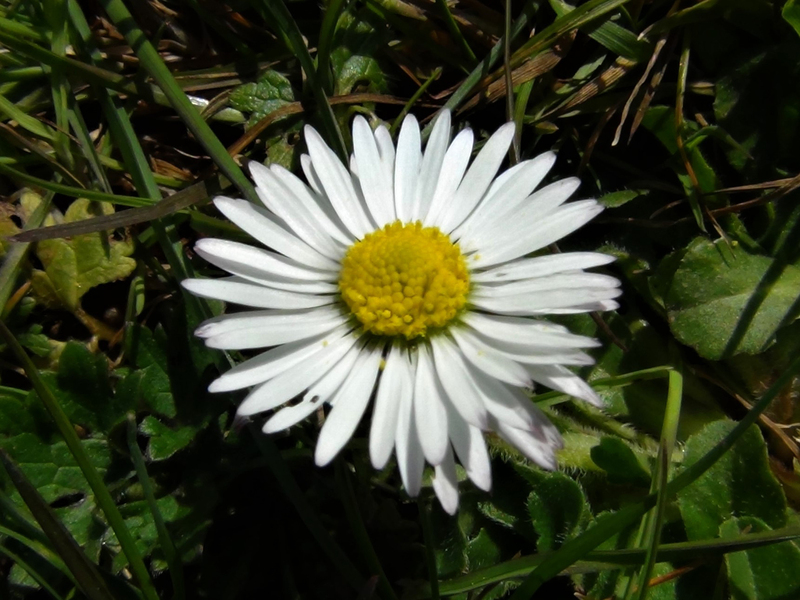 A Daisy flower, Bellis perenis. 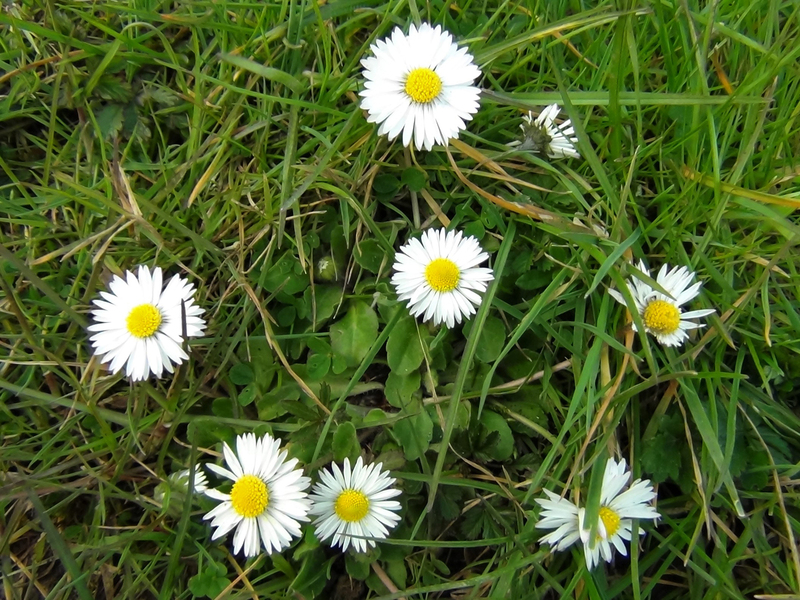 Daisies are easy to identify and they are easy to find but we don’t really use them due to their bitter, medicinal taste, each to his own! 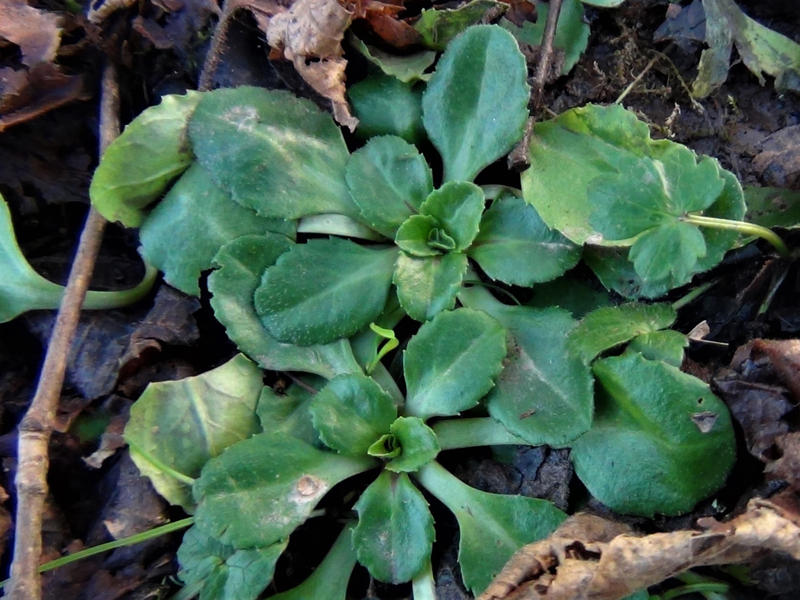 Small, dark green, rounded or spoon shaped leaves that can be hairy. 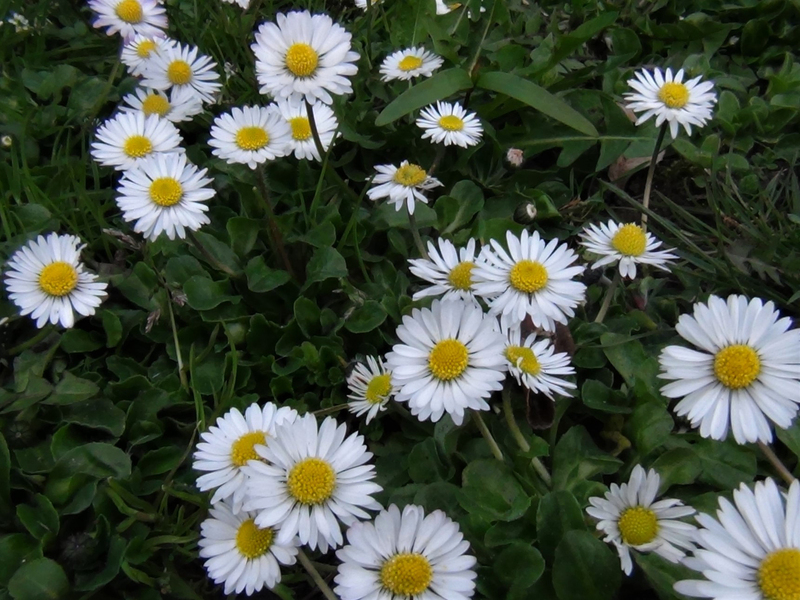 Many white petals around a yellow collection of sessile yellow flowers. 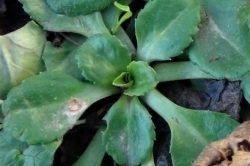 A thin, hairy, green flower stem with no leaves.  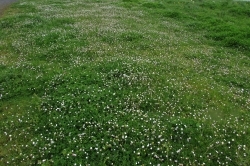 Lawns, meadows, fields, parks, woodland clearings and roadsides. 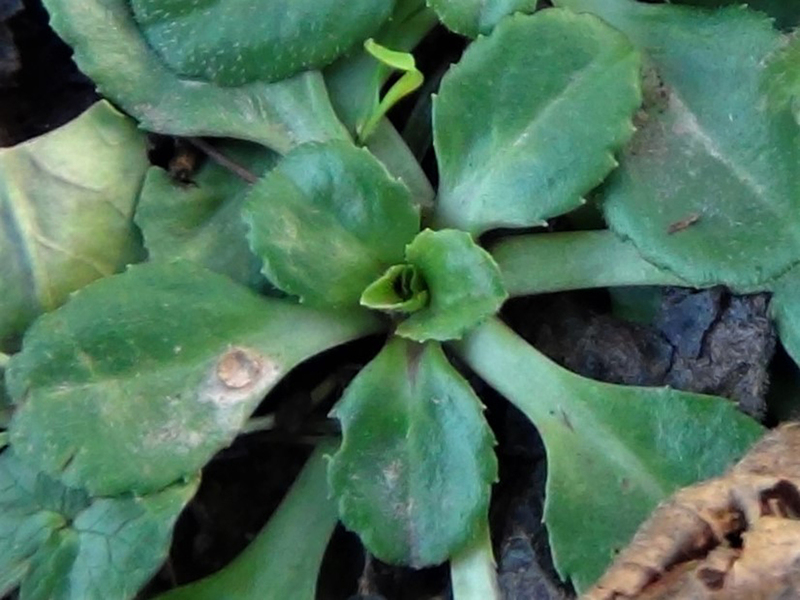 The leaves should only be collected when the flowers are present until you really know the leaves on their own as there are similar looking plants out there. 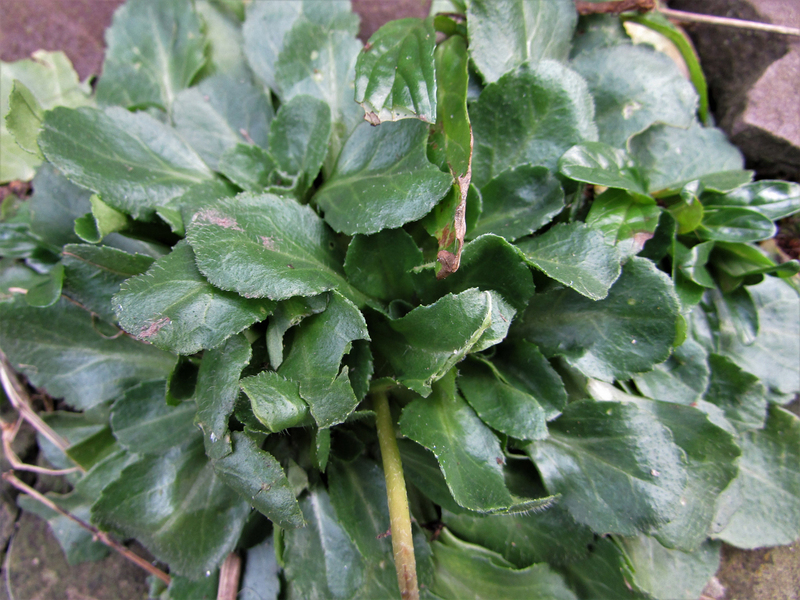 The leaves and flowers can be collected for use in salads, but not any salads that we make! 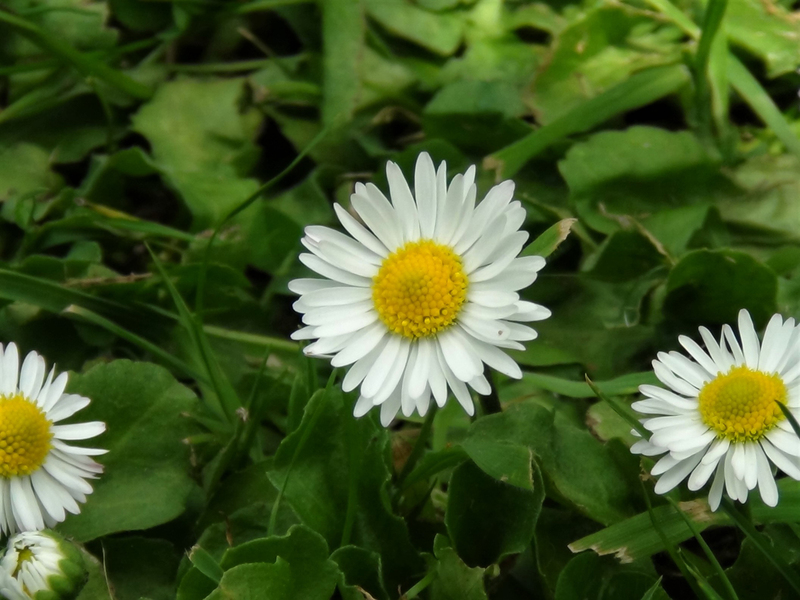 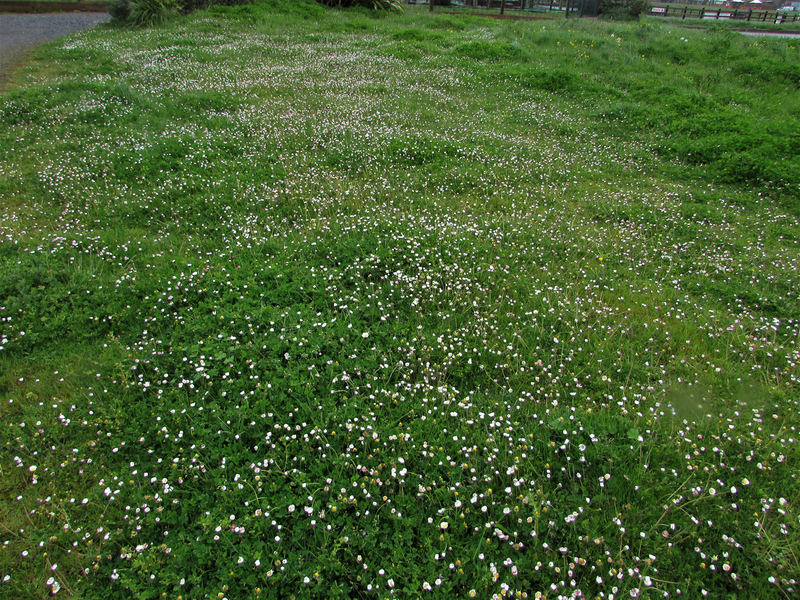 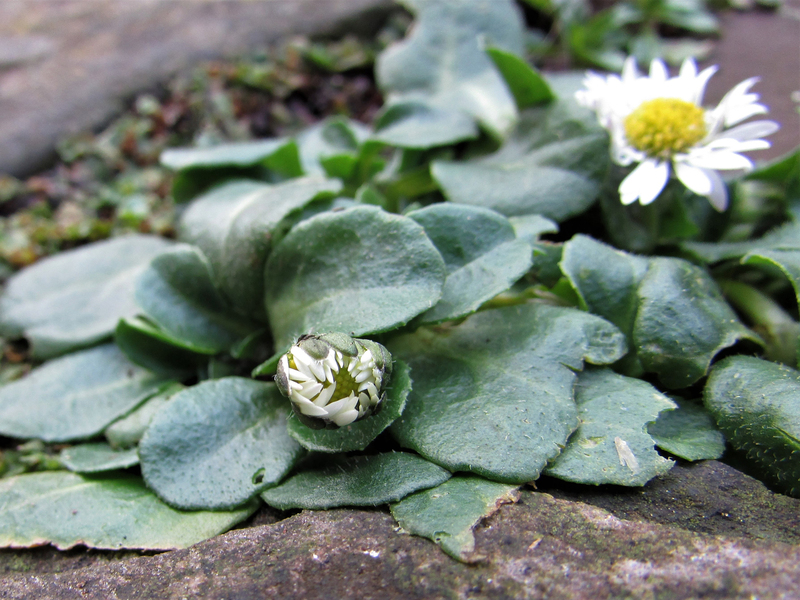 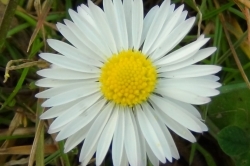 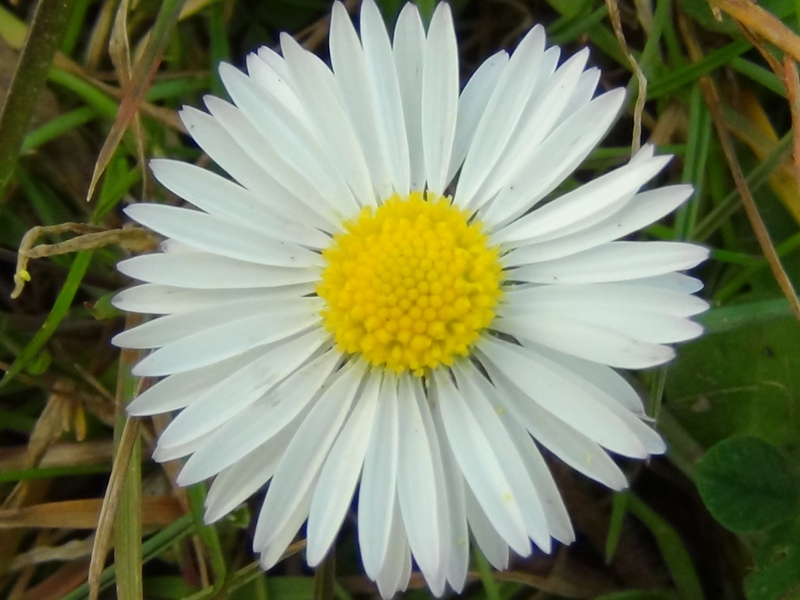 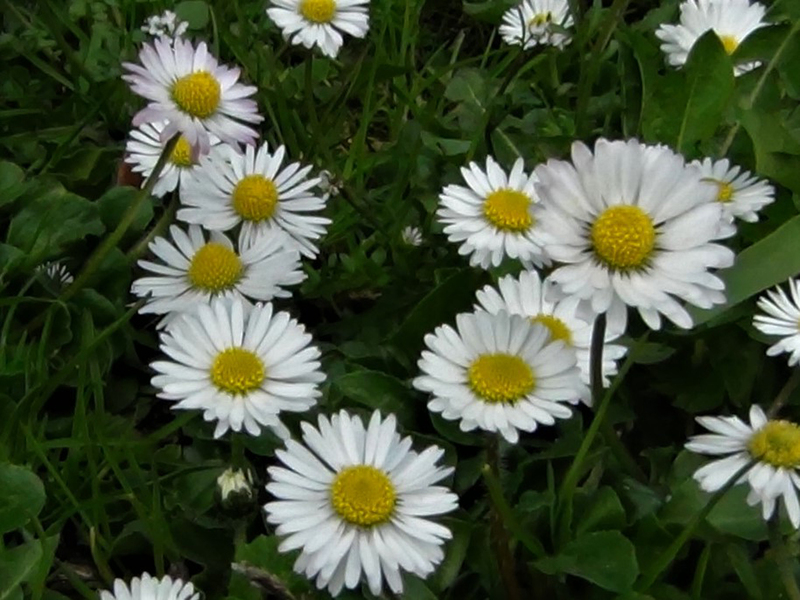 An extract of daisy used to be used to help heal wounds. 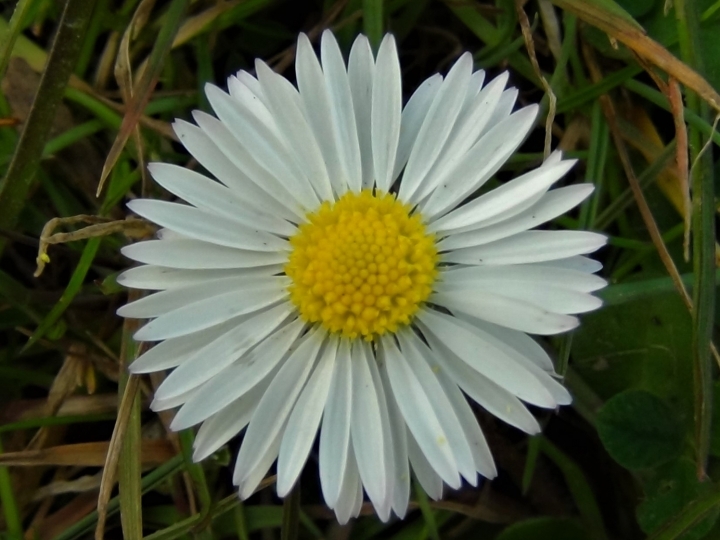 The name Daisy seems to have come from ‘days eye’, as the flower opens at dawn and shuts at dusk. 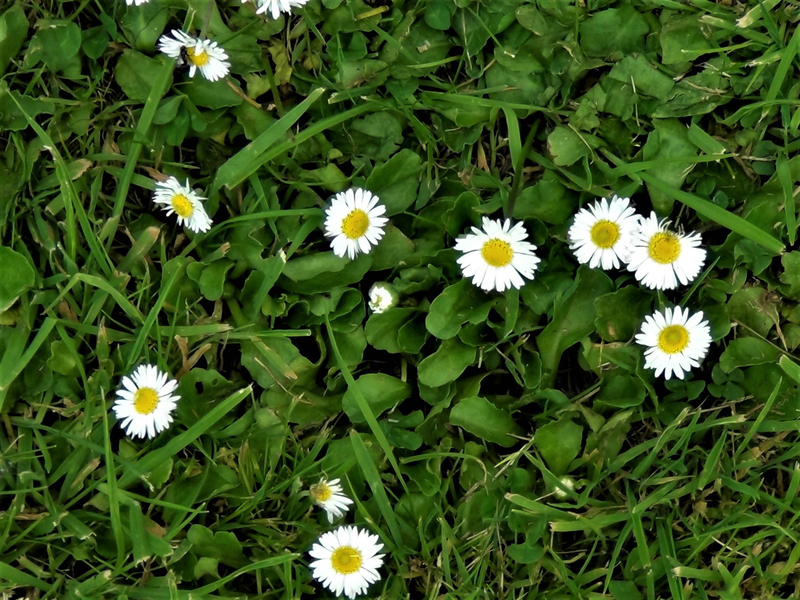 Good for making Daisy chains!